Launching your online business, whether it’s a dedicated online business or simply an extension of your offline business, is an excellent way to increase brand awareness, generate sales leads, and hopefully increase your revenue. This article goes over the four basic steps that will take you from “I want to start an online business!” to “My online business is now open!”. The first step to setting up any online business is deciding where to put it, in terms of the name it will be accessed by. Network Solutions is one choice for domain registrations, and some companies like this one also offer the web space that you’ll need to point your domain name at. Choose from the top three Top Level Domains (TLDs) for the best exposure: .com, .net, or .org. Ideally you will want to register all three, so you can be found at CompanyName.com as well as CompanyName.net and CompanyName.org. A web hosting plan will provide you with the space you need for the files you’ll want to host at your domain. Choose from Windows or Linux services, as well as a variety of options for space, bandwidth, and other server resources. If you use a popular content management system like WordPress or Drupal, you’ll find hundreds of high quality, free templates available. Or, you can make your own, or hire a designer to make one for you. Now that your website is live, it’s time to promote it! Utilize social media, pay-per-click (PPC) campaigns, and the placement of banner ads and other sponsored content to get the word — and links — out about your website. Consider setting up social media accounts that are a reflection of your website in order to brand yourself elsewhere, and reach new traffic sources. Facebook and Twitter are great sources for new followers as well as potential sales, and you may enjoy using these platforms to not just build your customer base, but for search engine optimization purposes as well. I’ve always considered trying this, maybe on etsy. Very concise advice and a good place to start. I just hope they have an idea before they go through all this :). Buying a domain name won’t help them get over that hurdle :D.
I’d love to someday have a business online. Thanks for the info! Great steps so many folks need this good information to get started! I’ve thought about starting a shop. I used to sell on Ebay a lot. I wish I had something to sell, I could use the extra income! One of the reasons I started a blog was because I loved designing it. Getting a good domain name can make a huge difference. You’re right to set that up as the #1 priority! Yes, these are steps I live by!! 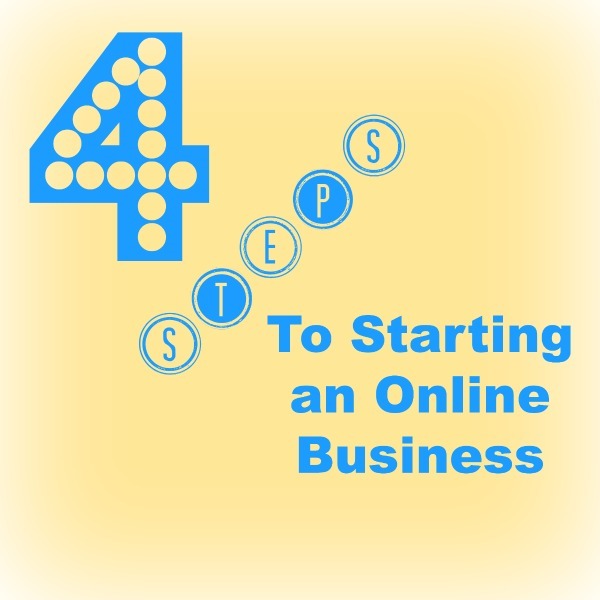 I agree these are great initial steps for doing business online! I occasionally sell stuff locally on Craiglist, but prefer to donate our gently used items and take the tax write off instead. Great tips. I had to learn these as I went along, I would have loved this list when I first started. I think having a professional looking design helps big time.